Simon Dighton, our resident middle-weight Graphic Designer, has made 3D space design for BT showcases across: Tokyo, Singapore, Sydney, Dubai, Kuala Lumpur and Hong Kong, just to name a few. Simon started his design career at JPC as an intern 3 years ago and has risen up in the ranks of our Creative Services team. He lives in Brixton, London, a 10-minute-walk away from our beloved Piano House studio. Growing up, I went straight to Graphic Design at Isle College, where I studied for two years with some very influential designers in the industry. The real eye opener for me was the different ways one could work creatively, using paints, physical props, and not just digital images on the computer. From there, I continued to study at the Norwich School of Art and Design, which is one of the leading universities in the country for design. My tutor, Ray Gregory, who’s been featured in ‘Smile in the Mind’ – a design bible nearly every designer has read – said to me, “Great design is all about the idea. An idea that will last through time.” I’ve always remembered that. I graduated in the Great Recession, so it was really tough to get internships or entry-level placements anywhere, especially in competitive London. Luckily, I managed to get around several different agencies from big to small, like Landor, Big Fish, Bloom Design, and Echo Brand Design. The internships ranged from 1-3 months, and were terrific opportunities to gain hands-on experience. After that I started freelancing in Peterborough/Cambridge area, during that time I successfully applied for an internship at JPC – finally, a London-based, creative firm was calling my name. Truly, an opportunity I couldn’t pass up. 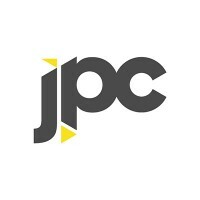 As soon as I started at JPC, I was thrown in the deep end. I was given a lot of responsibility, and took on loads of branding and digital projects that really tackled my creative brain. I learned from Kieli and Kirsten, who were instrumental in developing my commercial sense and pushing me innovatively and experientially. After 6 months I passed my internship and got taken on initially on a freelance basis, which then turned into a full time Junior Designer contract. I’ve worked on a lot of big clients since then: ETX Capital, BT, Logica, Shaftesbury. After two years, I was promoted to middle-weight, which is where I am right now. My hours are quite regular, starting with a quick stroll into work, and a nice cup of tea to get the creative juices flowing. I check my scheduled projects, which could range from concept development to visual ideas. My secret weapon is Photoshop, my favourite programme. I love how you can manipulate images, and create really distinctive artworks. My creative process is pretty straightforward. I get in the brief, figure out the key message and key content the client needs to portray. Then rack my brain filling the page with different ideas of how to achieve this. After the initial brainstorm, I research which of the ideas are viable creative solutions, then discuss with Client Services team and Head of Design, flesh them out, and check for commercial and creative quality. From there, it’s off to the client. We usually provide 2-3 options for the client to choose from: a completely out there idea, a safe idea and an in-between idea. Once the client’s preferred route is chosen, we push it further and develop all the correct messaging to prepare for print. The end product could range from a digital image, to a tiny postcard, to a 4 metre wall. Some of the perks of my job are working within a highly creative team and the variety of projects. It never gets boring here! You get a wide range of things to work on: Client Service collateral or web design, Strategic presentations or workshops, and a variety of Content projects. I never thought I would work on projects internationally, but so far I’ve designed BT showcases for Tokyo, Singapore, Sydney, Dubai, Delhi, London, Kuala Lumpur, Bangalore, and Hong Kong. I was used to doing university work on printed brands, so it was good to get experiential experience on interior design and really push a 3D space design as well. In the evenings, I like to rest my brain, perhaps go out for a NON-alcoholic drink with some mates. Just for January though.